Customers interested in buying Ford's upcoming GT supercar have been treated to a bespoke website, which allows potential punters to configure the interior and exterior of their dream car. The vehicle is rumoured to cost around £400,000, so for the rest of us mere mortals the site is a good excuse to kill a few hours creating lovely looking wall adornments. Production of the twin-turbocharged 3.5-litre V6 supercar is going to be limited, so Ford is asking interested buyers to fill out an application form after exploring their future ride in a more virtual environment. The American marque will then hand-select those deserving few, with priority going to loyal customers and current GT owners. Unfortunately, folk from just 19 countries across North America, Europe and Asia will be eligible for consideration, but the rest of the world will have to do without. 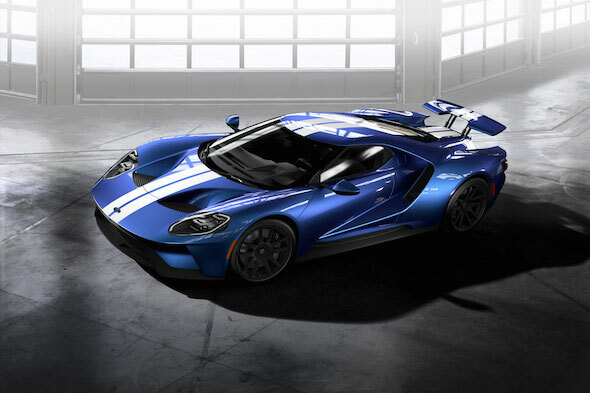 As a reminder, the 2017 Ford GT is a re-working of a classic that features a V6 version of the marque's celebrated EcoBoost engine technology. Power is said to hover around the 600bhp mark, while aerodynamics, engine tech and driver controls have been influenced by the world of racing. Ford also announced that the GT would return to the 24 Hours of Le Mans race, fifty years after its famous triumph. Interested parties can head to the configurator here but be warned, it's seriously addictive and a distracting productivity killer.